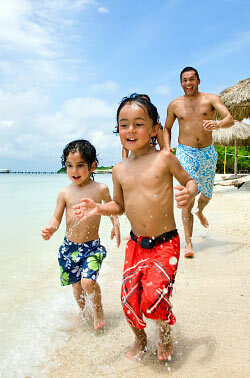 Among all 50 states, Hawai’i ranks #1 Overall for 2009. Interestingly, within the State of Hawai’i, rural Congressional District 2 (which includes Maui County) ranked higher than it’s urban Congressional district 1 (City and County of Honolulu) in only one category, ‘Life Evaluation’. Of note is the positive change in Hawai’i’s ranking in the ‘Work Environment’ Index from #50 in 2008, to #5 in 2009. 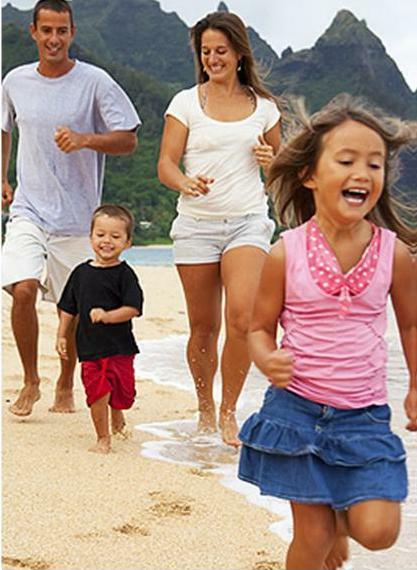 Implemented in January, 2008, the Gallup-Healthways Well-Being Index is the first and largest survey of its kind. It is the official statistic for Well-Being in America, giving a daily measure of people’s comfort level at the close of every day. It is based on the World Health Organization (WHO) definition of health as not only the absence of infirmity and disease but also a state of physical, mental and social well-being. The Well-Being Index is already the largest behavioral economic database ever created and, over the next quarter century, will generate more than nine million individual responses. Life Evaluation: A self-evaluation of two items—(1) present life situation and (2) anticipated life situation five years from now. Physical Health: Includes nine items—sick days in past month, disease burden, health problems that get in the way of normal activities, obesity, feeling well-rested, daily energy, daily colds, daily flu, and daily headaches. Emotional Health: Includes 10 items—smiling or laughter, learning or doing something interesting, being treated with respect, enjoyment, happiness, worry, sadness, anger, stress, and diagnosis of depression. Healthy Behavior: Includes four items—smoking, eating healthy, weekly consumption of fruits and vegetables, and weekly exercise frequency. Work Environment: Includes four items—job satisfaction, ability to use one’s strengths at work, supervisor’s treatment (more like a boss or a partner), and whether it is an open and trusting work environment. Basic Access: Includes 13 items—access to clean water, medicine, safe place to exercise, affordable fruits and vegetables; enough money for food, shelter, healthcare; have health insurance, have a doctor, have visited a dentist recently; satisfaction with the community, the community getting better as a place to live, feeling safe walking alone at night. Wailuku was the home of Kahekili, Maui’s most powerful chief, who ruled Maui from 1736-1793. WAILUKU, meaning ‘Water of Destruction’, was a center of power and population in pre-historic Hawai’i and the home of Kahekili (1706-1793), named after the God of Thunder, who reigned over Maui prior to Western contact. 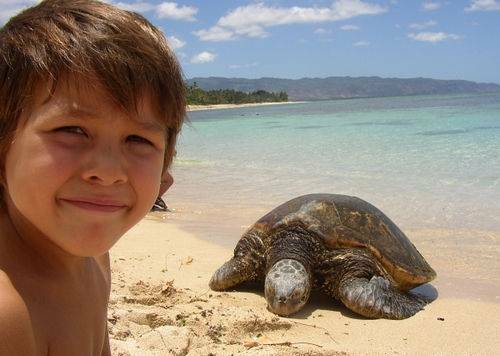 Kahekili’s kingdom extended to include all of the Hawaiian Islands except Hawai’i Island. Rumored to be the biological father of Kamehameha the Great, Kahekili paved the way for Kamehameha’s unification of Hawai’i. He maintained a court at the entrance to I’ao Valley at what is now the mauka [toward the mountain] area bounded by the corner of Main, High, and Vineyard Streets. 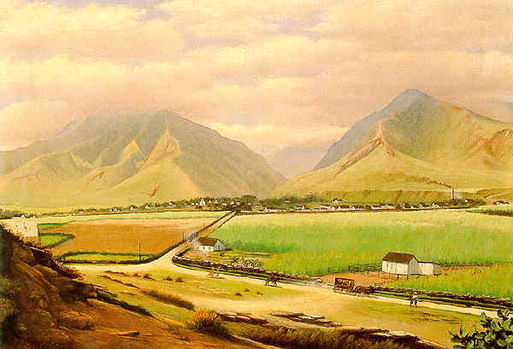 From the missionary era through the plantation era, and during the political shifts from Kingdom to State, Wailuku remained a most desirable place for its location, agricultural richness, and climate. 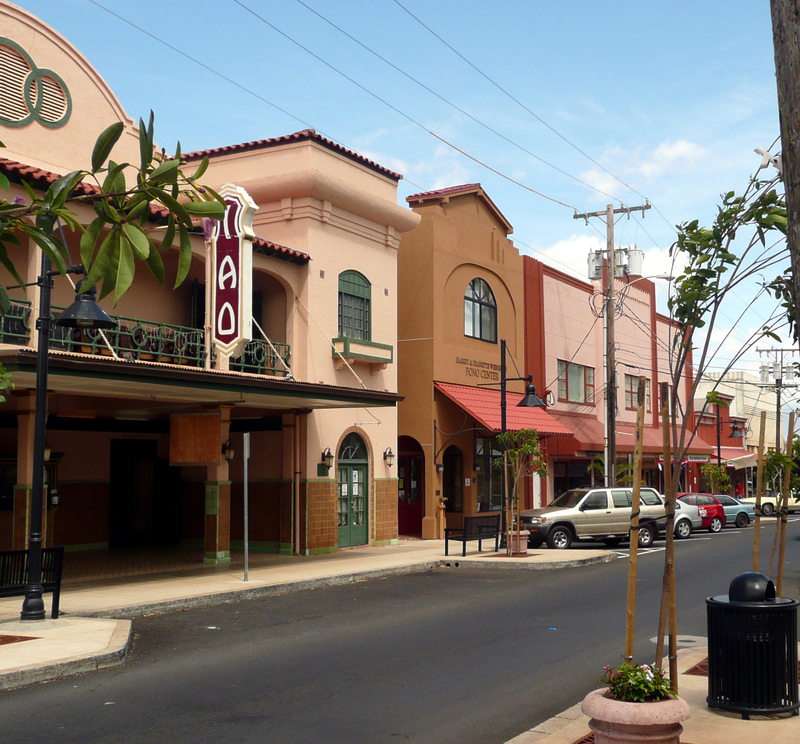 In 1905, the Territorial Legislature designated Wailuku as Maui County’s seat of government. 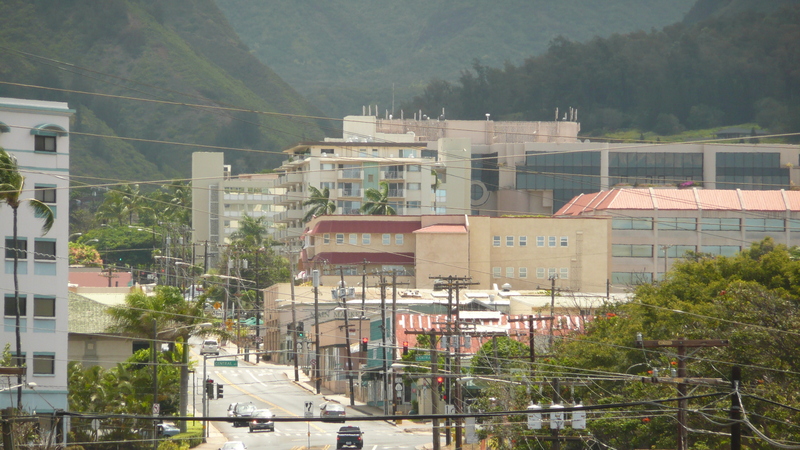 By 1920, Wailuku had become a bustling commercial and government center. Many homes and buildings in Wailuku date from that earlier heyday and offer a special glimpse into the past. Starting in the 1950s, with Kahului’s growth as Maui’s ‘new’ commercial center, began a progressive economic decline for Wailuku. But today Maui Nui’s capital town is enjoying the results of on-going revitalization efforts, initiated in the 1980s with community, government, and stakeholder investment. 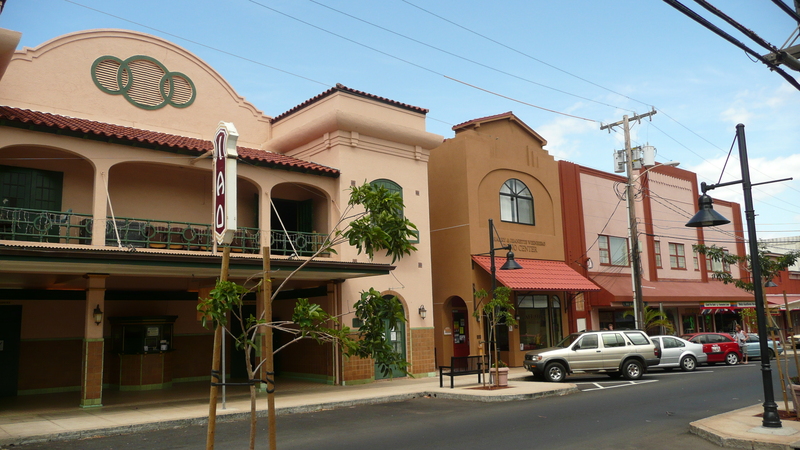 Refurbished and new buildings along Market, Main and Vineyard Streets display Wailuku’s heritage. And anchored by the historic Iao Theatre, these plantation style and Art Deco structures now house many unique shops, restaurants and offices. 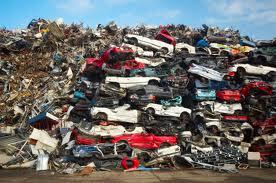 It is estimated that Maui County imports 85-90 percent of all consumer goods. Compared with Americans in 1957, today we own twice as many cars per person, eat out twice as often and enjoy endless other commodities that weren’t around then — big screen TVs, microwave ovens, SUVs and handheld wireless devices, to name a few. But are we any happier? 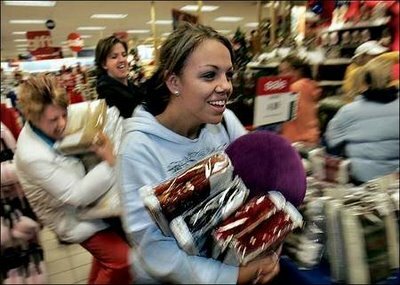 In “The High Price of Materialism” Tim Kasser, PhD, describes his and others’ research showing that when people organize their lives around extrinsic goals such as product acquisition, they report greater unhappiness in relationships, poorer moods and more psychological problems. Kasser distinguishes extrinsic goals — which tend to focus on possessions, image, status and receiving rewards and praise — from intrinsic ones which aim at outcomes like personal growth and community connection and are satisfying in and of themselves. Even if some materialists swim through life with little distress, however, consumerism carries larger costs that are worth worrying about. “There are consequences of materialism that can affect the quality of other people’s and other species’ lives,” says Kasser. 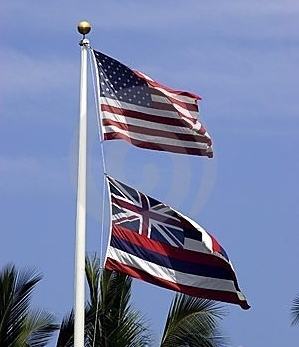 Hawaii was officially proclaimed the 50th state of the United States by President Eisenhower on August 21, 1959. The presidential action was followed by the unfurling of a new fifty-star flag, which became official the following Independence Day. Much of the decades-long opposition to Hawaii statehood came from Southern members of Congress who took a dim view of the mixed racial strains of Hawaii’s population. 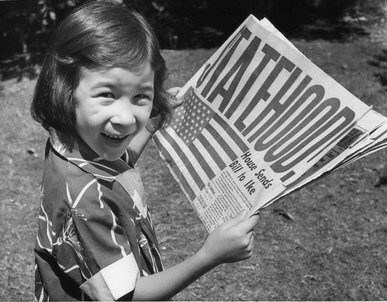 But in mid-March 1959 Congress approved Hawaii’s statehood bill setting up the required plebiscite and statehood elections. 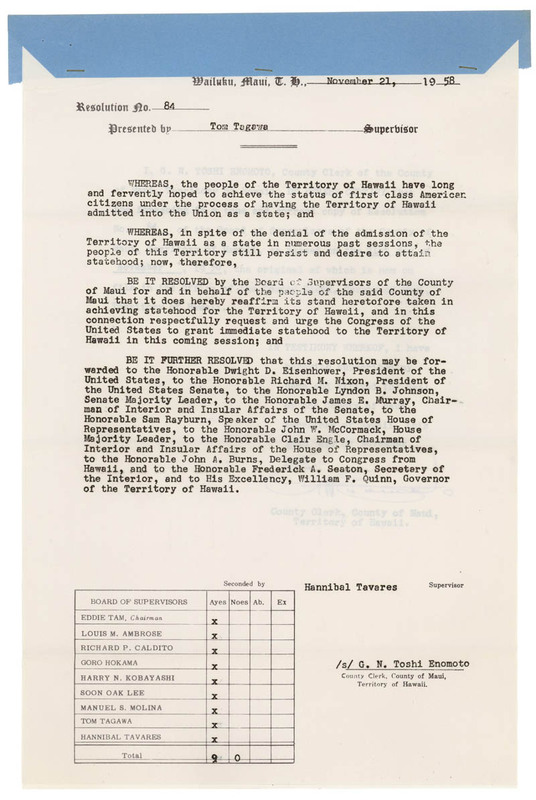 This action extended the rights and benefits of full American citizenship to an isolated group of islands with a multi-ethnic population. Observers called it the first major piece of civil rights legislation to be passed by the postwar Congress. It had been a long journey to statehood for approximately 500,000 citizens of the Territory of Hawaii who finally had the opportunity to vote on the Admissions Act of 1959, and to elect, for the first time, their own judges, governor, senators, representatives and president. 1.2 million years ago the islands of Maui, Molokai, Lanai, and Kaho’olawe were part of one huge land mass, 40-50 percent larger than the Big Island of Hawai’i. Maui is part of a large volcanic massif that includes the islands of Molokai, Lanai, and Kaho’olawe. At times this massif was emergent as a single island with an area of about 2,000 square miles. 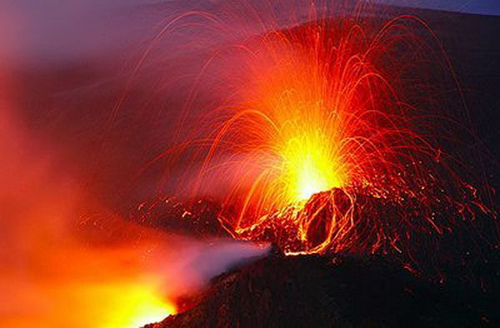 Maui itself consists of two separate volcanoes. The West Maui volcano is probably the older of the two, but both may have been concurrently active over part of their histories. East Maui (Haleakala) was last active around 1790, while activity at West Maui is wholly pre-historic. Although both Maui volcanoes may well have been concurrently active over part of their respective histories, they have evolved quite separately. Maui is blessed with two distinctive volcanic monuments. Together they typify Hawaiian volcanoes in general. But individually, they maintain their own unique characteristics – features that provide evidence for more fully understanding the origin and evolution of one of the most beautiful and facinating island chains in the world.